You know the song, right? Well I couldn't stop singing it while making this quilt. All those adorable little umbrellas are an unstoppable force! 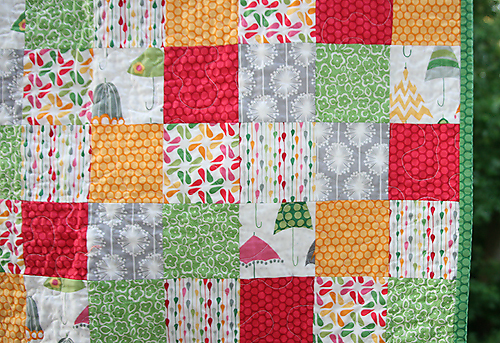 I just love the Rainy Days and Mondays fabric by Riley Blake. I paired 5 fat quarters with some green Katie Jump Rope flowers and gray Wishing Flowers from My Mind's Eye (one of my new go-to prints now). Even though these aren't colors I usually work with, I really like the look of this quite. 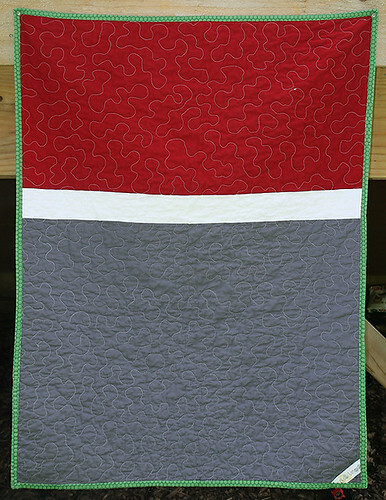 The back is a simple design, with coordinating solids. The binding is a green dot - stripes and dots just made the best bindings! This one measures 32" x 43". 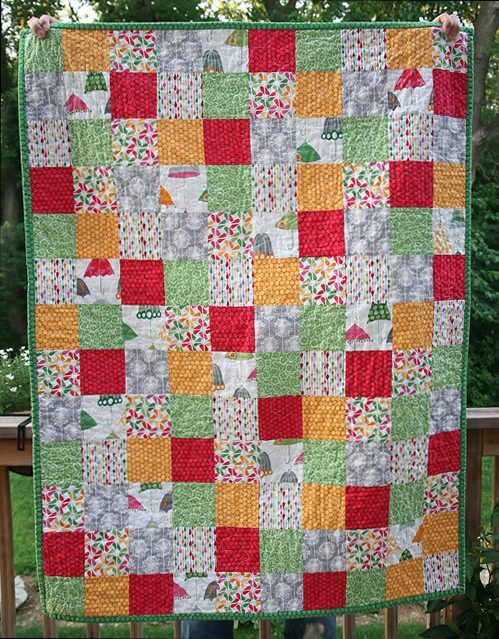 I quilted it free motion and it's nice and crinkly, my favorite! It can be found in the shop. I'm off for vacation in the morning! Boy am I going to miss my sewing machine and my computer but am in need of a serious break from the daily routine. See you when I get back!